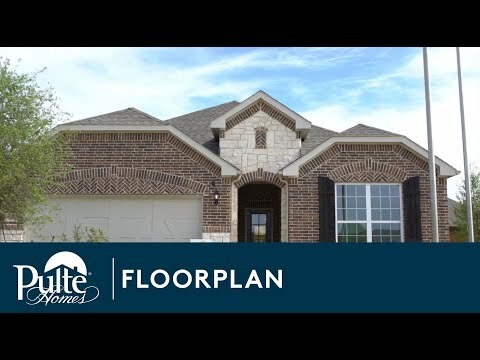 The smartly designed Mooreville invites family interaction, with a spacious great room and neighboring kitchen with sizeable island and adjoining nook. Enjoy family game night in the upstairs game room, or relax and dine al fresco on the covered rear patio. The choice of a first-floor bedroom accommodates extended family or overnight guests, while an optional study or third-car garage add additional living or storage space to fit your needs. Two-story ceilings in the foyer greet you as you enter the spacious Mooreville, known for a first floor bedroom with full bath and upstairs game room. Beautiful birch cabinetry and granite countertops enhance the open island kitchen, which also features a walk-in pantry. If additional space is needed, the Mooreville has options for two more bedrooms.